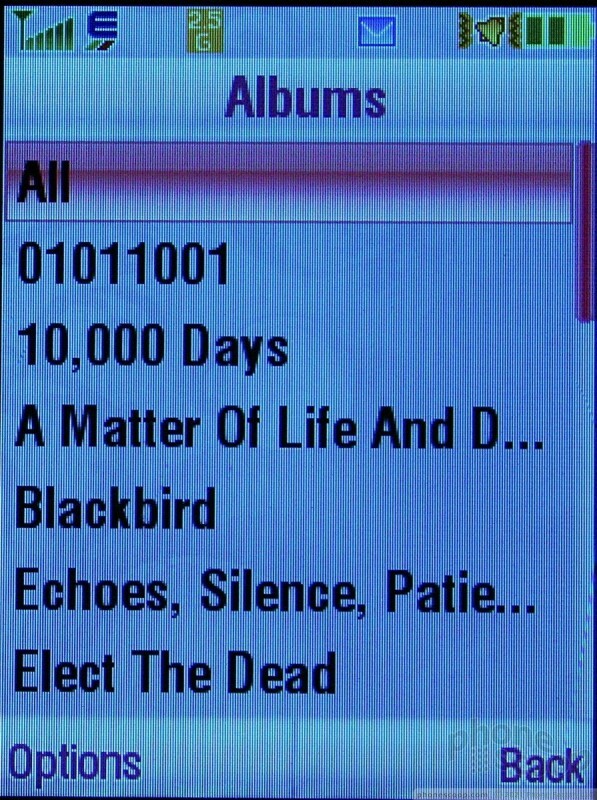 The Z9 is one if the first phones that has truly lived up to my brutal library of sludgy, riff-laden heavy metal music. The first song I played was "Walk With Me In Hell" by Lamb of God, and it sounded fantastic. The same cannot be said for most phones. Making heavy metal sound good on a phone is no easy task, but the Z9 mastered it. Here's how. There is a dedicated music player button on the left side of the phone. Hitting it brings you into your main music menu. 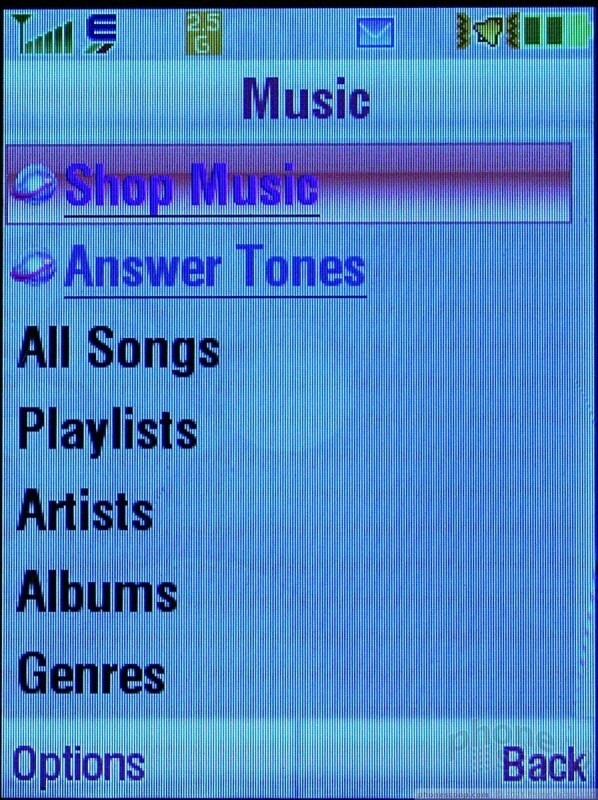 Of course the first two choices will launch AT&T's Media Mall, but the rest are the standard menu fare that let you organize and access your tunes. 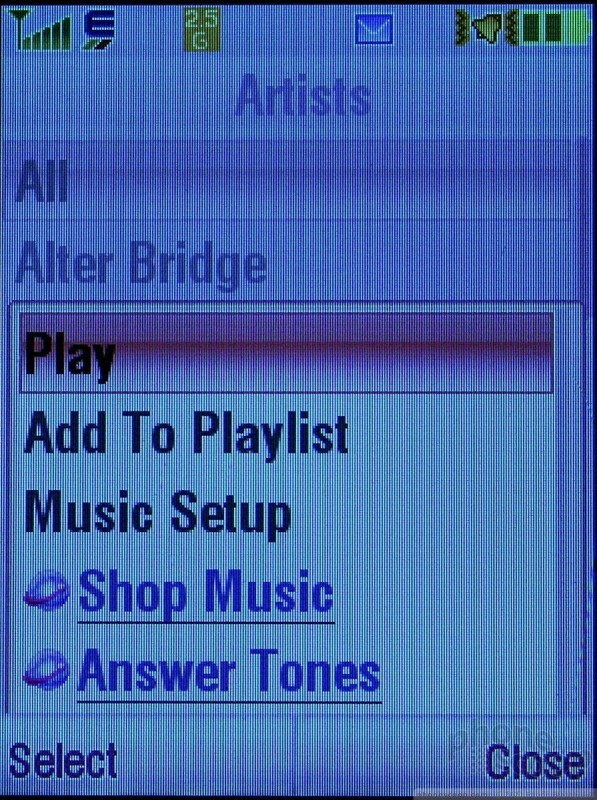 The options menu here lets you customize the music player to a certain degree. It's not exactly a graphic equalizer, but it comes close. You can turn spatial widening on/off, and choose how wide the sound is. You can also choose to turn on a bass booster, and set the level of boost. These two controls go a long way to making the music player sound much better. Once you've set your controls and chosen your tunes, start playing. Default is to play through the single speaker on the back of the phone. With music playing, you can also choose to send it to a set of stereo Bluetooth headphones. The main player page doesn't differ much from other phone-based players. The options menu is on the left, and the D-pad lets you backtrack, play/pause, or fast forward through your play list. There are some hidden illuminated icons in the D-pad that turn on when you're using the music player to let you know that the center of the D-pad will play/pause and what the other two buttons do. This is a nice little touch and will aid in usability if you're listening to music in the dark. 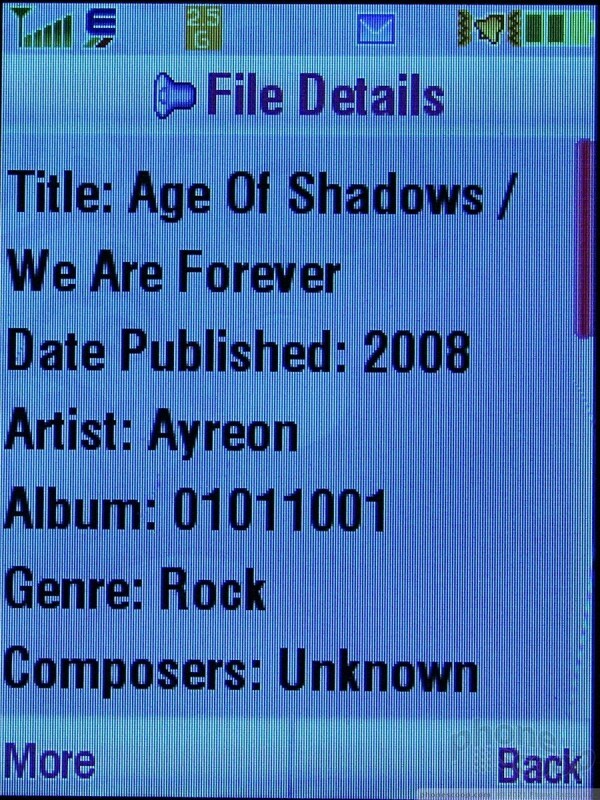 Also, if you have album art, it will appear on the main screen over the time indicator and other controls. 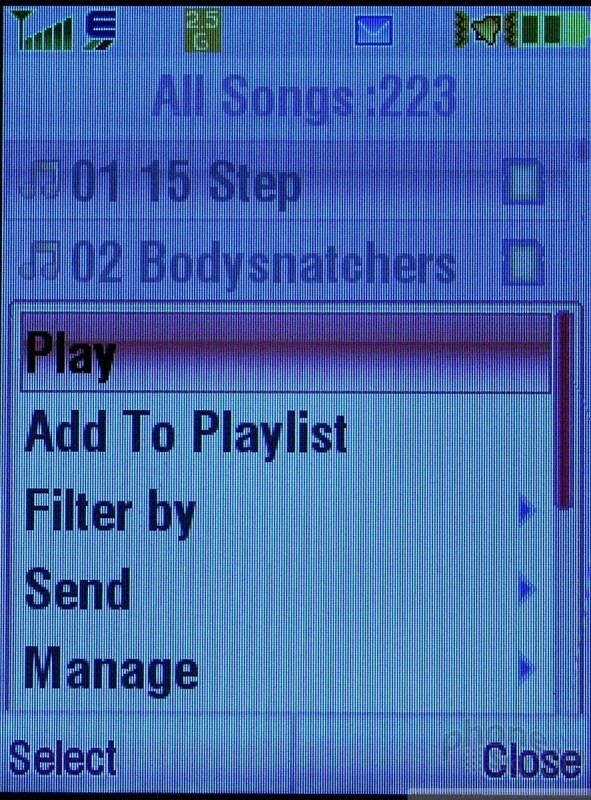 You can use the options menu to get file information, move, copy or delete the song, as well as send it to another Bluetooth device, such as a laptop. It may be somewhat no frills in style and usability, but the sound quality was simply superb. Somehow the Z9 managed to deal with serious slabs of sound without breaking down.